It feels like it’s been a while since we heard anything new about drone deliveries, but an update from Alphabet’s Project Wing shows the concept is still on track to becoming a reality. Back in August 2014, Google took the wraps off the Project Wing drone delivery initiative that’s being developed by its X unit, or “moonshot factory.” It completed its first drone deliveries to members of the public last year. 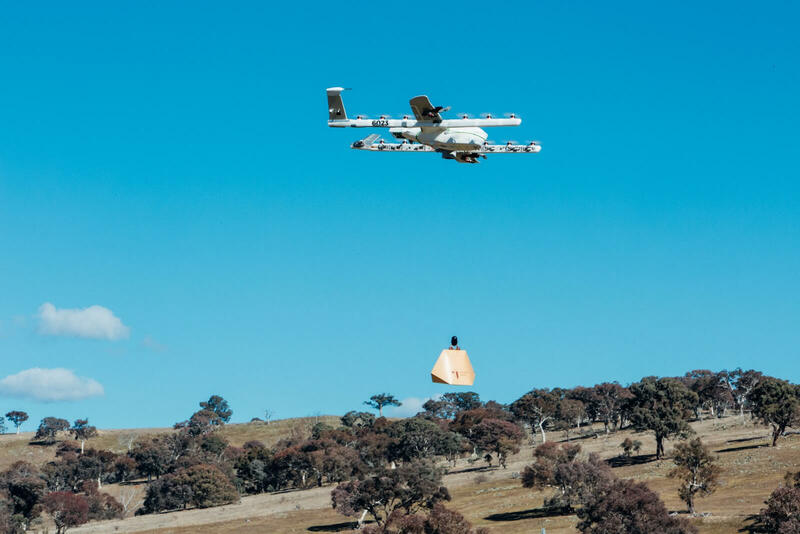 Now, testing is taking place in southeastern Australia that sees the UAVs delivering parcels directly into people’s backyards. Project Wing partnered with pharmacy chain Chemist Warehouse and Mexican food chain Guzman and Gomez for the Aussie trials. The Virginia Tech tests carried out in 2016 were in partnership with Chipotle; seems that Google expects food orders to be a big part of future drone delivery services. After users order the items via a smartphone app, the drones pick up the goods from partners’ loading sites before transporting them to the testers’ (very large) backyards. Australia’s drone regulations aren’t as strict as those in the US, and the wide-open areas and few obstacles make it an ideal testing ground. The deliveries also benefit those who live in the remote locations. "Residents near our testing area on the outskirts of the ACT live an idyllic country lifestyle on 10-acre blocks of rolling land spotted with gum trees and horses," writes James Ryan Burgess, co-lead of Project Wing. "But they face a 40-minute round trip in the car for almost anything, whether it’s a carton of milk, veggies for dinner, or a cup of coffee. Our testers, including young families, busy professionals and retirees, had many suggestions for how our technology could address this fundamental inconvenience." In July 2016, rival service Amazon Air started testing its Prime Air UAVs in the UK to avoid FAA regulations. While more is being done to accommodate commercial drone deliveries in the US, it’s likely to be some years before the skies are filled with autonomous machines delivering goods.